It is hard for me to believe that my baby girl will be in the 3rd grade this fall! Lizzie is, for the most part, a cooperative student. 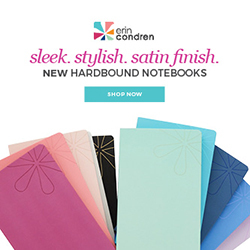 She grasps new concepts quickly, and she doesn’t mind writing things down. She liked having her own school desk in the living room this year and did well with most of the curriculum, so we’ll be continuing on with much of the same for her third grade curriculum. She is a natural at math and enjoys it. Singapore and Miquon have been a great fit for her. She’ll be working in Singpore 3A and 3B as well as the final two Miquon books: Yellow and Purple. I love All About Spelling. 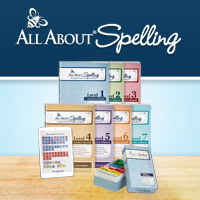 It’s super easy to use and works well for both the natural speller and the struggling speller. Lizzie will be using Level 3 this fall. I have fallen in love with Memoria Press Literature guides. She worked through most of the 2nd grade ones this year and will be starting with Mr. Popper’s Penguins in the fall. 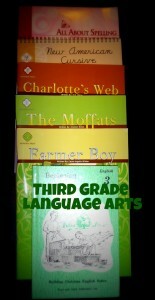 Then we’ll be using Farmer Boy, The Moffat’s and Charlotte’s Web. All great books! For handwriting, she’ll be using New American Cursive 3 also from Memoria Press. She has done amazingly well. This is the first time I’ve strayed from Handwriting without Tears. I like the appearance of New American Cursive so much better! Rod & Staff English is a favorite in our house. With her literature lessons and Latin studies, she really doesn’t need the complete course. I’ll be using it as a supplement though. I have become a fan of Memoria Press Latin series after initially rejecting it for my oldest son. (I’m still not sure that was a bad decision. Different children learn best with different approaches.) I like the no-nonsense approach of Memoria Press. 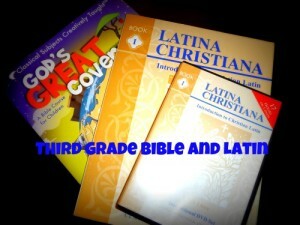 Lizzie finished Prima Latina this year and will be moving on to Latina Christiana I.
I’m trying something new this year. We’re starting Classical Academic Press’s Bible curriculum called God’s Great Covenant – Old Testament 1. We haven’t started of course, but I think Lizzie and William are going to like it. I’ll give a more thorough opinion after use. Now this leaves the things that I have really struggled with getting done. History and science require more time and effort from me. I really like the resources that I own and I want to give myself another chance to make it work. I am planning on making these as low key as possible, but I don’t feel like I can continue to ignore these subjects with my younger students. I hope to keep these as simple as possible. We will be reading The Story of the World Volume 1. I own the audio version as well, so I may not actually be doing the reading. Along with that we’ll be using the activity guide for note booking exercises and I am hoping to implement a “book basket” with related resources for independent reading time. I’m sticking with my old favorite Apologia Elementary here too. 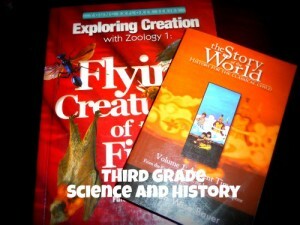 We’ll be working through 1 or more of the zoology books next year. I will have a book basket with more titles there as well. I had the opportunity to talk with a friend at church who will be beginning to homeschool her oldest son for kindergarten this fall. She was interested in hearing my recommendations for homeschool kindergarten curriculum. In my opinion, kindergarten should be kept simple. For formal school I recommend phonics, handwriting, and math. This conversation occurred several years ago, but I revisited this post and found my recommendations are still the same. So far I’ve taught 4 kids to read and I’ve used 3 different phonics programs, plus some on-line resources. Phonics Pathways – This is also a simple phonics program. There are cartoon drawings on many of the pages. This book teaches reading using syllables and spelling patterns. Instead of learning -at with an m in front is mat, Phonics Pathways begins with teaching the syllable ma- then adding a -t to the end. Happy Phonics – For William I had to think differently, because he is so different from my older children. First, he wasn’t really overly interested in learning to read. Second, he doesn’t sit still very well. When I tried the first 2 books with him, I couldn’t even get him to focus on the page. After doing a little research, I discovered Happy Phonics. Happy Phonics consists of lots and lots of colorful games, cards, and small booklets to learn phonics. For the first time, I was able to get my son to look at the letters. It definitely requires more teacher prep than the other programs -the program comes printed on cardstock, with all the cutting to be done by the teacher – but it was a worthwhile investment for us. This program uses mainly the word family approach to reading. Explode the Code – I used this fun workbook program with William in addition to Happy Phonics. I also used Explode the Code with Anna as a supplement to Phonics Pathways and with Lizzie as a supplement to on-line programs. These workbooks provide excellent reinforcement to the phonics concepts being taught in most phonics programs. They have funny line drawings and silly sentences. These books require the student to write. There is also on on-line version available. Ideally, I would have used either Phonics Pathways or AlphaPhonics with Lizzie. But I never got a chance because she already knew how to read! She did use 2 different on-line programs. I think that she learned to read with those along with her natural readiness to learn. I’ve heard of children teaching themselves to read. I would not go so far as to claim that, but she’s definitely come the closest. She used both Reading Eggs and Reading Kingdom. Links are to my reviews of those programs. Handwriting without Tears – This is the only handwriting program I’ve ever used for kindergarten. Designed by an occupational therapist, the approach to writing is very logical and sequential. Each letter is broken down into its component parts, and similar letters are learned together. All the capital letters can be written using long lines, short lines, small curves, and large curves. The basic program consists of a workbook and a slate. There are many additional accessories that are available and I’ve added to our collection over the years. I especially liked the wooden letter pieces for William. He used the letter pieces and the letter cards and learned all his letters in about a month. Earlybird Kindergarten – I used this math program with William. (Not exactly this version, this is the new U.S. Standards version.) The text contains colorful pictures and is a fun introduction to numbers, counting, shapes, addition, and subtraction. I used the textbooks alone without the teacher’s guide. Miquon Math – For David, Anna, and Lizzie, I used Miquon Orange for their math curriculum in kindergarten. This is a unique program, that is discovery based. It makes extensive use of Cuisenaire Rods. They all both loved this program. William really loves using the rods, but there are some portions of Miquon that I have found to be too abstract for him. Miquon Orange is technically a first grade program, but I used it is conjunction with Singapore 1A to ensure that we thoroughly covered beginning concepts before encountering too advanced problems. Using both programs allowed for variety at a slower pace. 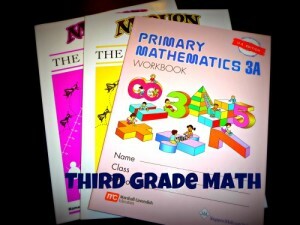 Singapore 1A – Singapore Math is a math program that stresses understanding of mathematical concepts from the beginning. Story problems are introduced early and are very thoroughly taught. I use both the textbook and workbook, but have not invested in the teacher’s guides. Add in a library card and a variety of books, and you have everything you need for kindergarten. Here’s a list of great picture books from the 1000 Good Books list. But, if I were starting again with my oldest child in kindergarten, I would probably also add Five in a Row. I didn’t use it when we were starting out, but had an opportunity to review it with my younger son this past year. 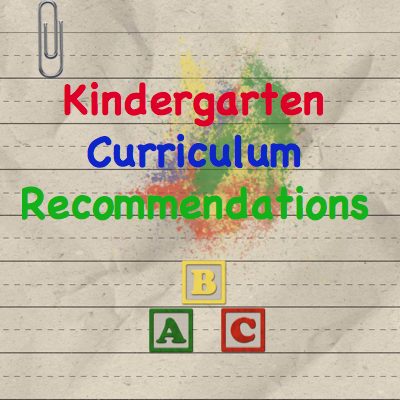 It is a unit study curriculum revolving around terrific picture books for younger children. You can read my complete review here. 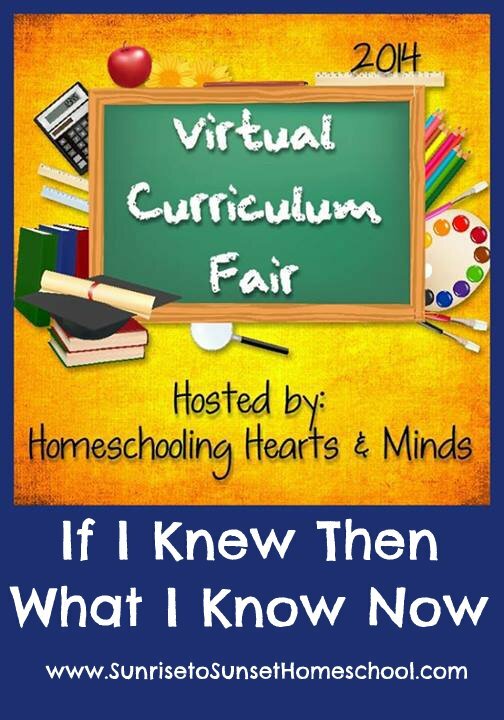 It’s time for the next topic in the Virtual Curriculum Fair. 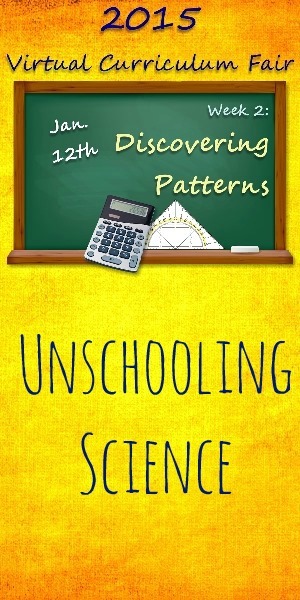 This week’s topic is Discovering Patterns: Mathematics, Logic, and Science. Disclosure: This post contains affiliate links. I think I have pretty thoroughly shared my thoughts on teaching math. Here’s How I choose Math Curriculum. Basically, I value mathematical understanding over memorization. Except sometimes. I’ve found that one of my sons, William, has to learn math by rote and practice, practice, practice. The understanding is coming slowly with the practice. Last year I shared The post where I admit I was wrong. In it I share a little more about why mastery math programs were not working with one of my sons. Here we are a year later and I am still very happy with Christian Light Math for William (5th grade). It drives me crazy that the lessons often take him FOREVER, but he is learning math. With the spiral approach of Christian Light, he gets to practice concepts almost every day. Finally, he’s not forgetting them. He still makes mistakes, but I see definite improvement, and he has shown tremendous improvement with his speed in recalling math facts. One of the things that is built into Christian Light is a daily speed drill. Each day there are 32 problems to be attempted in 1 minute. They are either addition, subtraction, mixture of addition and subtraction, multiplication, division, or unit conversions. William has progressed from completing 8-10 of the addition and subtraction facts in 1 minute to being able to complete all 32 problems in the same amount of time! He’s not there with multiplication and division yet, and the mixture of addition and subtraction are slower as well, but I have confidence that he will build his speed with those too. And that is what I would do differently with my older children if I were starting over again. I didn’t drill them on their facts because they could do the problems with relative ease. I tried some drill, but I was met with resistance from David. So I gave up backed off. In some ways, I don’t regret it. We really had a lot of trouble getting along, and we were always fighting. So I decided that I wasn’t going to fight over everything. But his lack of speed is evident when doing calculations. Actually he rarely does any calculations on paper anymore. David does math in his head or on a calculator. And he has trouble showing his work. Which is another thing I wish I had done better at requiring. What I think I should have done instead of drilling with flash cards or plain worksheets is tried simple speed drills like in Christian Light. I don’t know for sure that it would have been more acceptable, but I suspect it would have been because David is very competitive. Lizzie (2nd grade) is doing very well in Singapore and Miquon like my 2 oldest, but she also sees William doing speed drills. Lately she has started asking for speed drills too. So I’m going to do them with her while I have a willing participant. I think the combination of mathematical understanding and speed will be helpful to her as she goes on to more advanced math. Visit these blogs to read more about teaching math. When am I ever going to need this? If you’ve ever heard any of the above in your home, I have a suggestion for you. It’s called Make It Real Learning. I reviewed one of the modules: Sets, Probability, and Statistics from Volume I several years ago. We really enjoyed it! I recently received the Activity Library: Volume II to review. This volume contains the following 11 books. As you can see, many of the topics are continuations of those found in the first volume. However, I do not think it is necessary to have completed Volume I to use Volume II. 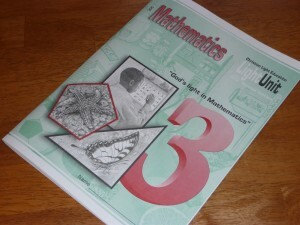 Volume II adds 2 subjects, Geometry and Graphing, that were not topics in Volume I. Each of the books contains 10 modules that use a wide variety of real world examples. In Graphing & Other Algebra Skills I, your students can work problems on topics such as autism rates, paper sizes, interest rates, and calculating take home pay. Geometry includes area and volume calculations for swimming pools and landscaping, using right triangles around the house, and so much more. (Maybe this will spark an interest in my son for landscaping! We could certainly use the help.) Each problem set has both student worksheets and a complete solution set. The books are only available as e-books, making them to convenient to use and store. Just print the parts that you’re going to use. 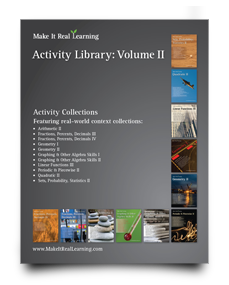 You can purchase the complete Activity Library Volume II at the Make It Real Learning website for $39.99. 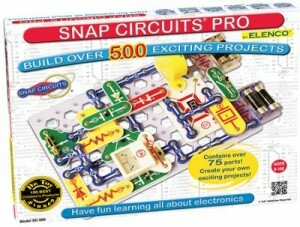 There is a special bundled price of $69.99 for both volumes of Make It Real Learning Activity Library. There are also free samples available on their website. I highly recommend taking a look at the samples. I think you’ll be impressed. Thank you Make It Real Learning for allowing me to review Volume II! Disclosure: I received the Make It Real Learning Activity Library Volume II for free in order to write this review. I was not compensated for this review. All opinions expressed are my own. This spring I started searching for an algebra text for Anna. She’s starting 7th grade and is ready for algebra. David is very happy with his math program, but it’s a bit unconventional. It does not appeal to Anna at all! 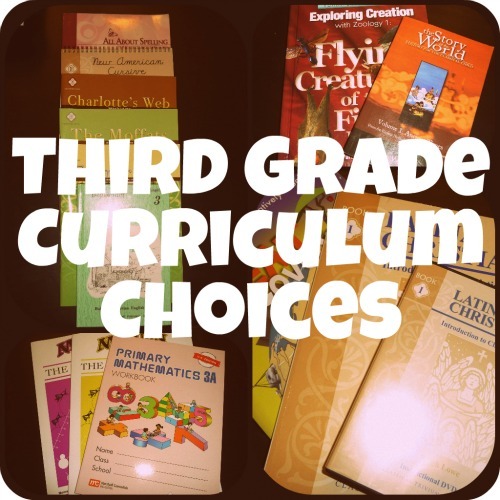 (I used to think I could buy the same curriculum for all my kids! Ha.) So I searched message boards and read reviews. This program has too much drill. That program is too easy. I felt like Goldilocks searching for the “just right” algebra curriculum. I had finally settled on a program, but had not purchased it. I was still not totally sure, since I had not actually seen the curriculum, and it was a textbook only. I was not sure how we were going to handle the lessons. But then I was given a fantastic opportunity to review No-Nonsense Algebra from Math Essentials. Based on the title alone, this program would be a perfect fit for my no-nonsense girl. The soft-cover book is divided into 10 chapters. The chapters are divided into lessons. Each lesson begins with an introduction, followed by examples, exercises, and review of previous material. There are 10-20 problems (usually closer to 20) in each exercise along with 4 review problems. That seems to be a good number of problems for practicing the concept. At least, I think it is the right number for my daughter. She generally grasps new mathematical concepts fairly quickly, but she’s not opposed to doing practice problems (unlike my son). But I haven’t mentioned the best part! 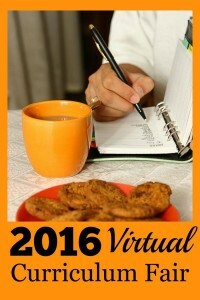 Each of the lessons has a video component! The on-line videos are found easily on the No-Nonsense Algebra web site. In the videos, author Richard W. Fisher, teaches the new concept. The videos are relatively short (about 10-15 minutes). They are, like the title suggests, no-nonsense as well. It’s simply a math teacher demonstrating and explaining how to work algebra problems. There are no bells or whistles, just good, solid math instruction. How much would you expect to pay for an Algebra 1 text that includes on-line video instruction? 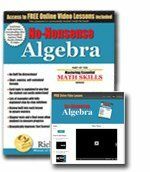 No-Nonsense Algebra is only $27.95! In reviews, I usually just state the price without making a comment because very often what one person considers a good deal, someone else considers too expensive. But this is an unbelievable value! I have found the Algebra 1 program for Anna next year and I couldn’t be happier! I should mention, that as I read on the Math Essentials website, No-Nonsense Algebra seems to be marketed as a supplement. But they are also marketing to public schools. I’ve looked over the topics and I do not see any reason why this cannot be used as a stand-alone algebra curriculum. In addition to No-Nonsense Algebra, I also received a copy of Mastering Essential Math Skills – Geometry. This is a smaller workbook, that I do think is more of a supplement. There are review, helpful hints, and problems for each section, but it doesn’t include the introduction, examples, and video instruction. Although it is for geometry, it covers geometry topics that are usually covered in elementary math curricula. It would be a good practice program to review for the SAT or ACT because students tend to forget many of the geometry terms. 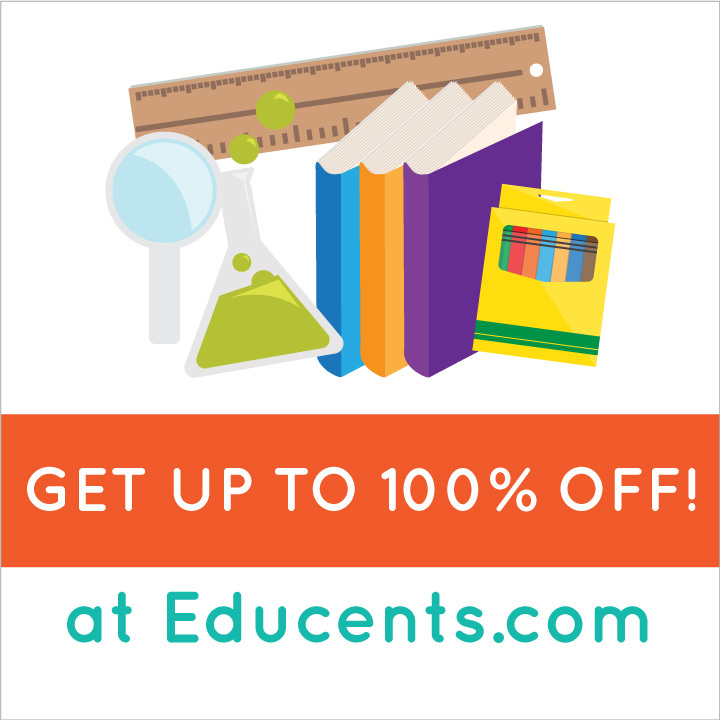 Mastering Essential Math Skills – Geometry is available for $11.95. Both these resources, plus many more can be purchased from Math Essentials.net. Disclosure: I received a copy of No-Nonsense Algebra and Mastering Essential Math Skills – Geometry in order to write this review. I was not compensated for this review. All opinions expressed are my own. 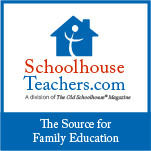 As a member of the Schoolhouse Review Crew, I get to test a lot of products. 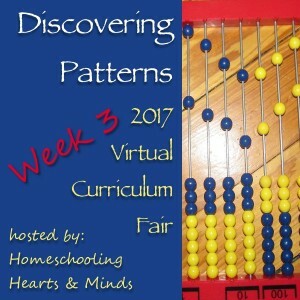 I love trying out a wide variety of resources in my homeschool, many of which I am unfamiliar with before receiving to review. Professor B Math is one of those. Professor B is an on-line math curriculum. I’ve reviewed a lot of on-line math curriculum in the last few years. I can honestly say that Professor B is completely different from any of the others I’ve seen. When I think of on-line math curricula, several things immediately come to mind. Professor B is not designed for any of these. It is not a math fact drill program, but any student who completes this curriculum will know his math facts. Professor B is not for students to use independently. Professor B Math is for the parent/teacher and student to go over together. Professor B does the teaching, but the parent/teacher makes sure that the student is understanding. The program claims that students can progress through up to three years worth of math in one year. There are 3 levels that include the following topics. After looking at the placement test for Level I, I decided to start both my 10 year old son and 5 year old daughter in Level I. Level I begins with understanding the numbers 1 -10. This includes recognizing the numerals, but it goes much deeper. It includes exercises in quickly identifying how many things are on the screen. That’s pretty easy for 1, 2, or 3, but as the numbers get higher, it’s not so simple to quickly be able to tell if there are 7 or 8 balls. I remember seeing this idea in an older math text and thought that it was something lacking in the math curriculum we were using, so I was excited that Professor B included it. In addition to quickly identifying numbers of objects, it presented numbers as combinations of fingers. For example, if you’re holding up 1 finger on your left hand and 2 fingers on your right hand, that’s called a one – two – three. Swap the sides and it’s a two – one – three. This is a very gentle way of introducing addition facts. I did have a little problem with all the finger counting though. Do you see it? I’m not sure how they didn’t catch this as a problem, but it bothered me, partly because I’ve been trying to teach both of these children to stop using their middle fingers to point. This may or may not be a problem at all to you. My 5 year old daughter participates enthusiastically in the lessons. She did start to get a little bored with all the number understanding sections, but I was afraid to skip them since they seem so foundational.We have not made it as far as I would have liked in the program at this point due to summer-time travel, but so far, I’ve been impressed. I’ll continue with it for her. My 10 year old son did not participate enthusiastically at all. (We were not doing the lessons at the same time as his sister. I knew better than that!) He needs math remediation. He has not mastered all the material in Level 1, but I struggled with where to start him. I thought the beginning was important, so I tried to work through that with him. He was very upset and felt like the program was babyish. So I skipped ahead to try to find something that wasn’t so easy. (Though he truthfully had not mastered the understanding numbers part. He had a hard time getting the quick number recognition problems correct. His sister was much better at them.) Unfortunately, by the time I tried another section with him, he had already developed a strong dislike for the program. So I completely backed off Professor B with him. I hope to try it again if I can figure out where to start him. I may jump into the telling time section because he’s never mastered that skill. 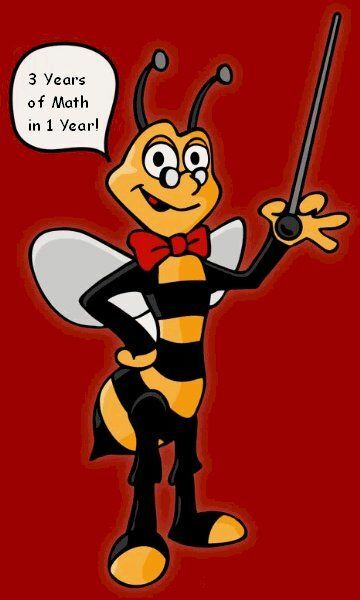 A subscription to Professor B E-learning is available for $20/month. It can also be purchased for $100 for 3 years of access to a single level. The yearly price is not on the website yet, but it should be soon. Disclosure: I received a 1 year subscription to Professor B in order to write this review. I was not compensated for this review. All opinions expressed are my own.